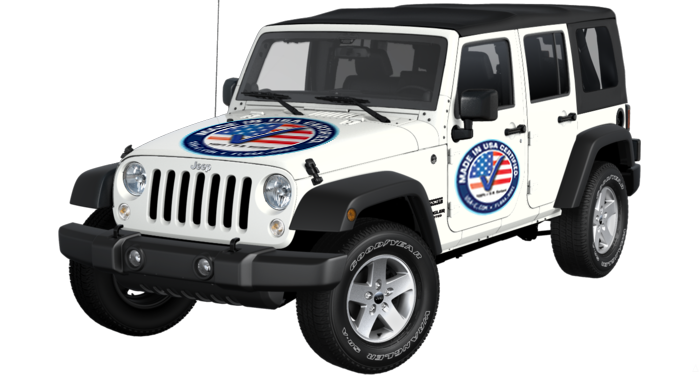 Made in USA Certified, Inc. is on a mission to create the first ever Made in USA Certified Jeep that is solely comprised of Made in USA aftermarket products. Our goal is to sell 7,000 Jeeps featuring your aftermarket products- a realistic 1% of over 700,000 Jeeps that are sold annually. Through our network, these custom Jeeps will be sold at over 16,000 dealerships across the nation and will proudly parade your company’s aftermarket contribution to US jobs and US manufacturing.